Feminised cannabis seeds have been one of the most important contributions to the cannabis growing movement in the last generation. Dutch Passion were the first ones who, against all odds, created cannabis seeds that gave rise to 95%+ female plants. These seeds are known as feminised seeds, today they are the most popular and convenient choice for those growing their own stash. Before feminised seeds, ‘regular’ cannabis seeds were used which produced approximately 50% male and 50% female plants. This meant that growers had to germinate and grow twice the desired number seedlings in order to reach a satisfactory number of mature females. With the arrival of feminised marijuhana seeds a grower simply plants the desired number of seeds and forgets about the inconvenience of male plants. Male plants not only waste space in a garden, they also risk reducing the finest sensimilla into seed pods. For most growers of recreational or medical marijuana the male plant is simply no longer wanted. The recent boom in home-grown cannabis has been made a lot easier with the arrival of feminised marijuana seeds. No more worrying about how to identify male plants. Feminised marijuana seeds are grown in the same way as regular seeds. They can be grown indoors, in greenhouses or outside. They can be grown in soil or hydroponic systems. Feminised seeds give more stable results than regular seeds, resulting in better potency for 80% of all varieties. The exact process of cannabis seed feminisation has been a secret for many years. The principle is straightforward. Female plants can be stimulated to produce pollen in such a way that the pollen is regarded as ‘female pollen’. The female pollen is used to pollinate a female plant which then starts producing seeds. The seeds produced by this method are feminised – they give rise only to female plants. As an additional benefit the feminised marijuana seeds tend to give rise to more uniform plants than regular seed. For the experienced growers feminised seeds have simplified life. To the new grower, feminised cannabis seeds are the only way to go. Growing top quality strains of cannabis has never been as easy, just choose the strain, plant the seeds and ensure ample light and sufficient nutrients. Dutch Passion invented feminised marijuana seeds and have perhaps the worlds best selection of top quality feminised strains. 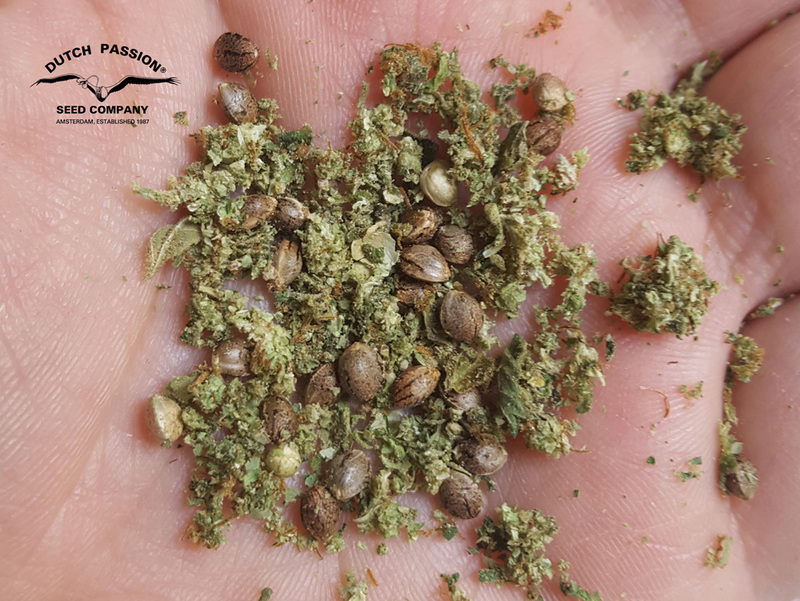 If you are thinking about buying some feminised seeds then first take a look at what Dutch Passion has to offer – you won’t be disappointed! In a Dutch Passion experiment done in 1999 Dutch Passion grew 15 varieties of "feminized" seeds. We started with 30 seeds per variety. The goals were: 1) to determine the percentages of female, male, and hermaphroditic plants. 2) to compare the uniformity (homogeneity) among plants from "feminized" seeds with those grown from "regular" seeds. 1. The results were excellent. Nine out of fifteen varieties had 100% female offspring. Percentages of female plants from the other 6 varieties were between 80 and 90%. These plants were all hermaphrodites, producing their male flowers at the end of their lifecycle. Seed-setting hardly took place. No males were found. 2. Approximately 70% of the plants of varieties grown from "feminized" seeds were far more uniform than plants grown from "regular" seeds of the same variety. About 20% of the varieties were a little more uniform, while in 10% of the varieties no difference in uniformity was seen. • a higher nitrogen concentration will give more females. • a higher potassium concentration will give more males. • a higher humidity will give more females. • a lower temperature will give more females. • more blue light will give more females. • Fewer hours of light will give more females. It is important to start these changes at the three-pairs-of-leaves stage and continue for two or three weeks, before reverting to standard conditions. To produce our feminized cannabis seeds, we start with selected female clones. Under standard conditions these female clones do not produce any male flowers. 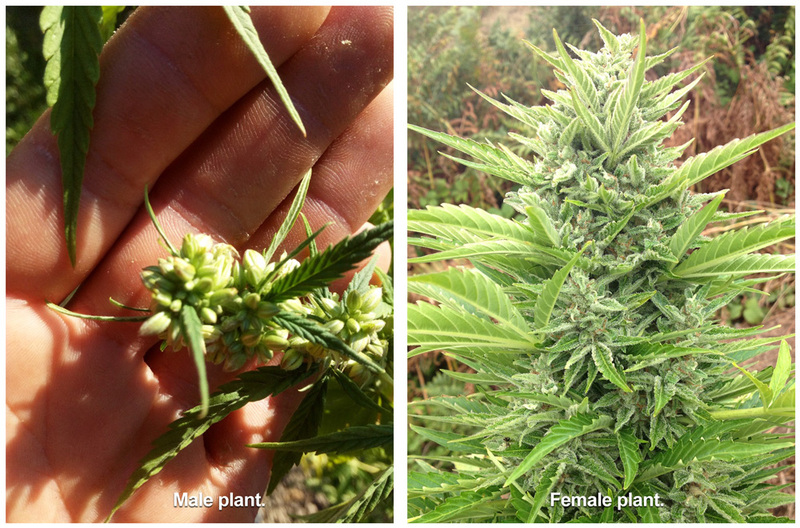 By the method we found, we are able to have these female clones produce abundant male flowers and pollen (see photos). The pollen thus produced we use for the production of our "feminized" seeds. 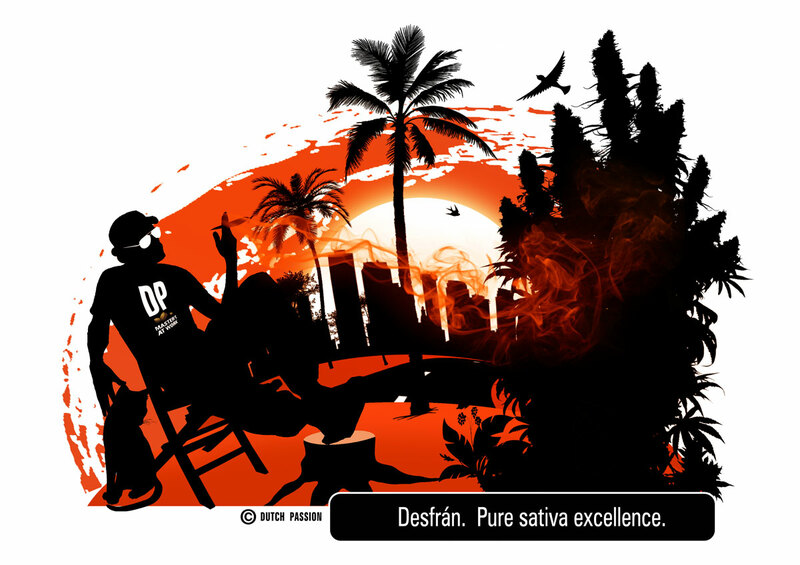 » What is hashish or hash?